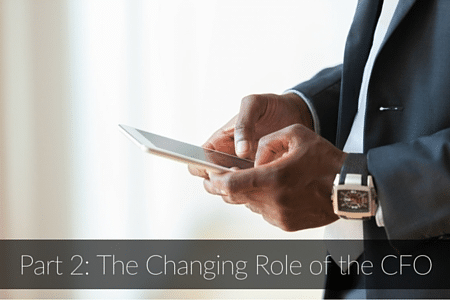 In the 1st post of this 2-part series we examined how the role of the CFO has changed in recent years to become more digital. We also explored some of the barriers that CFOs face in driving digital transformation, whilst highlighting the many benefits of embracing digital. By doing so we touched on the ‘digital ready’ skills and qualities needed by modern CFOs. In today’s post we want to drill down further into the skills needed to become a digital CFO. Digital isn’t the preserve of the future, it’s the past and the present. Those that are slow to adopt put their companies at risk. End to end digital enterprises are more agile, less wasteful, more innovative, and less prone to disruption. Without the tools necessary to conduct business in a digitised world, it is near impossible to compete. To ignore digitisation is to accept a decline into obscurity. Are you ready for the digital era? What are the necessary skills for becoming a digital CFO? With the rapid change of the role of the CFO comes a subtle development of the skills that a CFO will need to be successful. It’s important to note that these skills are not a far cry from the traditional skills of a CFO. In our view they are a natural progression, and for the majority of forward thinking CFOs, this progression shouldn’t cause too much difficulty. Have you got all of the skills listed below? One of the key changes is that CFOs in the digital age will need to be great at analytics. CFOs have traditionally been good at numbers, but those numbers have always been transactional. CFOs of the future will need the analytical skills to be able to look at the bigger picture. Transactional numbers will be one part of the equation. The larger part of that picture will be made up of data from a variety of points, both inside and outside the enterprise. CFOs will need the vision to ask the right questions, and will be instrumental in assessing a business’ needs and establishing the data points that can solve problems as they arise. In a recent interview with Business Insider, Ash Noah made a very salient point in regards to risk. “In the 1950s, most companies featured on the S&P 500 would remain there for 60 years. Clayton Christensen of Harvard University says today’s average S&P 500 company will drop off the list in 18 years. Based on those numbers, 75% of the current S&P 500 will not be featured in 2027.” Such stark numbers highlight the important role that CFOs have to play in safeguarding the future of their company. The precarious nature of business in the modern age demands highly skilled risk management processes. As tax, legal, and regulatory landscapes develop with the digital world, CFOs will need to monitor any changes and react accordingly. It is only by working closely with the CEO, that CFOs will be able to build a resilient business model that has the agility to move with the times. CFOs will need to constantly assess their company’s business model with the view of adapting it. Innovation is key to remaining relevant, and new technology will be the vehicle that drives change and facilitates success. CFOs will need to align with the CIO, and work together closely to meet their shared needs. Financing digital transformation will be a primary concern and departments will need to work together to get the entire company on-board. By adopting new technology, CFOs will be privy to new performance metrics. On the one hand these metrics will help to shape the success of the company by solving problems and driving change. On the other hand, new performance metrics will improve the bread and butter role of CFOs by helping them to quantify the value of intangible assets, such as intellectual property, customer data, and brand reputation. CFOs will need the vision to use new technology, performance metrics, and data points to guide companies through the choppy waters ahead, not only in managing risk, but in identifying and grasping new opportunities for growth and improved efficiencies. A relatively new skill for CFOs will be the strategic management of talent acquisition. Whilst the nuts and bolts of acquisition and retention will remain with HR, CFOs will need the strategic vision to analyse the company’s present and future skill needs. For some CFOs, talent acquisition will involve acquiring digital start-ups or high-tech companies to quickly fill the gaps in an organisation’s capabilities. Alongside the HR director, the CFO will need to develop structured competency frameworks that meet the skill gaps that they encounter. Digital transformation will undoubtedly breed new types of staff, skills and job titles and CFOs will need the people management skills to infuse a digital mindset across their finance teams and company as a whole. As we move forward, it’s clear that this is a brave new world for CFOs. The challenges they face are only equalled by the opportunities, and whether you’re an aspiring CFO or an experienced veteran, this is surely an exciting time. If you’re not seeing these opportunities in your current role, get in touch with our specialist recruitment team today.